Being the Goalkeeping Director for Everton FC’s USA affiliate, Everton America, I take a keen interest on the actions of first team goalkeeper, Jordan Pickford’s performances. Pickford’s rise to the being first choice for the England team has been a great inspiration for goalkeepers, especially those that are not blessed with multiple inches over 6ft. The last minute goal he conceded against Liverpool, however, will not be one of his proudest moments. In the last play of the Liverpool v Everton derby, Liverpool pumped forward a long ball which was headed out to Virgil van Dijk. The Liverpool centre-half attempted a volley at goal but flubbed it and it span high upwards into the sky. The Dutchman even turned away in disgust at his strike. Read more: Liverpool’s win over Everton one that could go down in folklore… if they can keep pace with Man City But the ball kept falling, down towards Pickford’s goal. The goalkeeper went to catch it, and did, but his wrists hit the bar. The ball, which hadn’t crossed the line, tipped out of his hands and up into the air, back down onto the bar, and out to Origi. The unusual spin of the ball generated by the miss kick led to that horrible ball that you have to deal with but if you don’t get your decisions correct, it leads to a mishap. Things that will be going through the goalkeepers mind in what must have seemed an eternity whilst the ball was spinning in the air. What is the trajectory of the ball? Is it going over the bar? Will I have to deal with it? I need to get underneath the ball and ensure good body shape. Will I bang into the post? Are players running at me? Do I catch the ball or tip it over? If I tip it over, I’ll give away a last minute corner. I’m not the tallest of goalkeepers, I have great spring though and can prove it. Once I catch, who can I distribute to? In a post game Interview, Pickford explained the following. It sounds like Pickford made the decision to tip, rather than what most people originally thought, which was that he tried to catch it. If this is the case, the technique of tipping needs to be brought up. When tipping a shot over or around the post, generally the pace of the shot is enough so that when you get your fingers on the ball ( To tip, as opposed to parry ) it is enough to change direction of the ball whilst still having enough momentum to get the ball over the crossbar or around the post and out of play. This is why the “top hand save” can be so effective. I often see goalkeepers try to flick the ball over the bar with an intricate twist of the wrist and extension of fingers with disastrous results. Keep it simple and use the pace of the ball with a flat hand to tip. With that being said, if the ball does not have the pace required due to spin, as in the case of the Liverpool goal or a deflection, a flick may be required. See this England drill which requires the goalkeepers to get a flick on the tip to get it over the bar or wide. If the ball is close to the crossbar, the goalkeeper may have to do the counter intuitive action of turning the hand and body toward the goal to flick the ball over the bar. After hours searching the internet, the best example I can find is this Peter Schmeicel one below. This technique would have been best used for Pickford for the goal as the ball was both spinning with no speed, and was close to the crossbar. What can we learn from this goal? Take nothing for granted. I mis hit shot may well require action and the goalkeeper should deal with it. Once you have assessed the shot / cross, a decision needs to be made to catch, tip or parry the ball. When tipping a shot, the speed / trajectory of the shot or cross determines if you use a flat palm facing the field, or if you turn your hand / body to flick the ball over the bar. 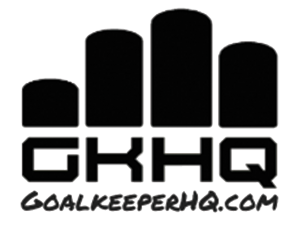 Defenders need to be aware of difficulties goalkeepers face and provide both information and support. Pickford, though disappointed kept his cool with a simple apology. The goal came from the foresight of the Liverpool goalkeeper, Alison to take the free kick short so that Trent Alexander-Arnold could get a better angle and get closer when kicking the ball forward for the last gasp attempt.